Our much-anticipated move is about to happen!!! Barring any unforeseen delays, we will be moving the store to Santa Rosa Mall on Mary Esther Blvd over the next couple of weeks. Currently, we are not accepting any sewing machines for service or quilt tops for our E2E longarm service. 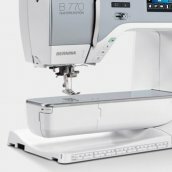 If you currently have a sewing machine that it is ready for pick-up from our service department, we would appreciate you picking up by Tuesday of next week. Stitcher's Quest at our Beal Parkway location will be closed on Wednesday, March 27 and we have a tentative Grand Opening scheduled for Saturday, April 6 at Santa Rosa Mall. We thank you for your patience during this transition. We are counting down to AQS Quilt Week in Paducha, KY! Call today to hold your seat! We must have your reservation by March 31 to hold a room. The local hotels will not hold rooms past March 31 without reservations as this is a high-occupancy event for them. Call to reserve with $100 deposit or register online with full payment. 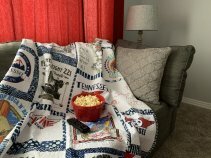 Join us in this month's Creative Studio Project class and learn to make a uniquely personal t-shirt quilt! Begin Quilting - Part II - Tuesday, March 26 10:00 a.m.
A continuation of our Beginnig Quilting class that will challenge the new quilter with a six-block sampler. 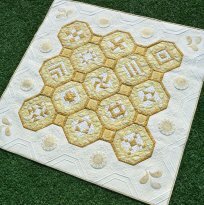 This eight-session class includes a lesson on free-motion quilting. Choose from the many designs by Laura Heine and join us for a fun day of creativity! 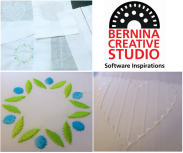 Build your ruler work skills using Bernina's Ruler Starter Kit. We will use Amanda Murphy's practice panel to build skills and confidence with different designs. Join us in this month's Creative Studio Project class and learn to make Quilt As You Go Placemats! This class is offered in your choice of morning or evening. Choice of morning or evening class. Learn the technique for this fun block! This class is free when your machine was purchased from Stitcher's Quest. If you have questions about transferring your Mastery Lessons, please call us. 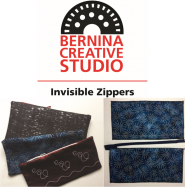 We will work through each lesson using teh Bernina Mastery Guide. This 1-hour bi-weekly class will build skills and confidence to use your software to its fullest potential. This course is free if you purchased your software or upgrade from Stitcher's Quest. Call to register for your free class. This is a demonstration class - no machine necessary. See how easy it is to install an invisible zipper with Foot #35. 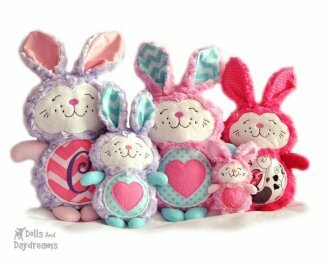 This one-day workshop takes you through step-by-step to make this cute project in your embroidery machine! Introducing Taffy, the next pattern in our Jaybird Quilt series. Using a bold focal fabric, this dynamic quilt gives the illusion of curved piecing. 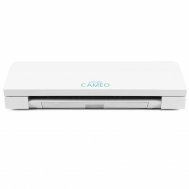 You've just purchased a Cameo and want to start using this amazing machine. This class will help you get it out of the box and ready tocrate your first project. This is an exclusive benefit if you purchased your Cameo from Stitcher's Quest.